Just what might Einstein have meant by that statement? Here are my thoughts on what it is he might have wanted to say. 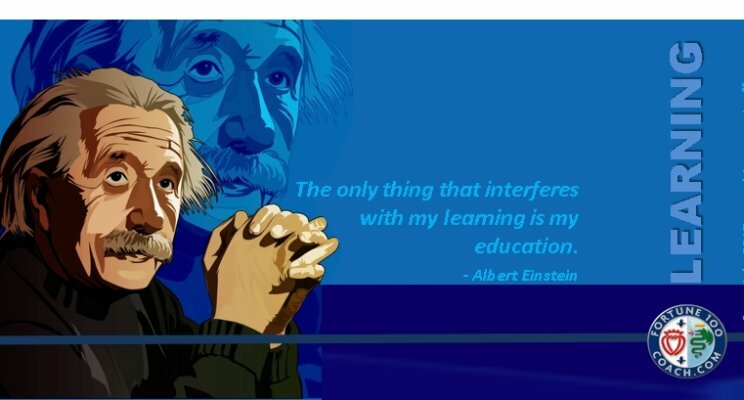 Just like anyone else Einstein grew up with education. Like anyone else, he was educated by teachers. Teachers who had studied what they were taught at large universities. How does knowledge get to universities? Unless a university IS conducting research; the only thing it can teach is what is already known. But what is known? Known usually means it has to be well known, it has to be popular, and it has to be confirmed ideally multiple times. Otherwise, it is unlikely to be taught at university. This, however, means that what is cutting edge will NOT be taught at universities. In general, it takes a good thirty to fifty years for new knowledge to go from cutting edge to widely accepted and maybe even longer to reach a level of popularity. While this is happening, older insights are continued to be taught. This also means that by the time you studied it, passed tests on it, it’s already outdated…way outdated. But it’s being taught as the latest and greatest. That’s how it works, and the world seems to have bought into it and will actually fight tooth and nail with anything that hasn’t gone through this process. The system will do this even if the newer insights are common sense. Common sense may not be so common after all. What else might Einstein have meant by this quote? What he likely will have meant is that knowledge in educational systems is being taught as truth. And anything that is considered truth is hard to circumvent to get to a newer more highly evolved truth. Because we worked so hard and with so much conviction to memorize this outdated truth and because it was taught to us with conviction by such great authority as our professors and our educational system, we believe it. Once we believe something, it is hard to let go of it and think of it as untrue or partially true or as an evolutionary step toward a newer even higher truth. Always be open to question everything.